Painting of problem floors with diffusion open paints. Untreated concrete floors absorb water, dirt and pollution. An untreated concrete floor is also very dusty and the air above it gets filled with unhealthy small particles. To prevent these problems we apply a proper coating system on the floor. 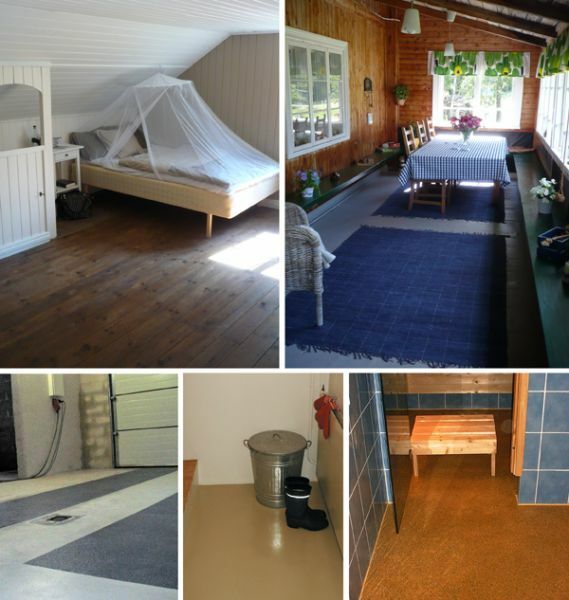 We paint your floors with the swedish producer Hagmans floorpaints that have exceptionally good diffusion characteristics. That means that our paintcoat lets possible moisture from the construction pass out through the paint into the air above, but the coating is still watertight. These diffusion open paints and lacquers are suited both for new and old concrete and wooden floors. On concrete both in- and outdoors, but on wood only indoors. In case the floor becomes wet from time to time, or in case you walk on it in wet or snowy shoes we can make the surface non-slippery. 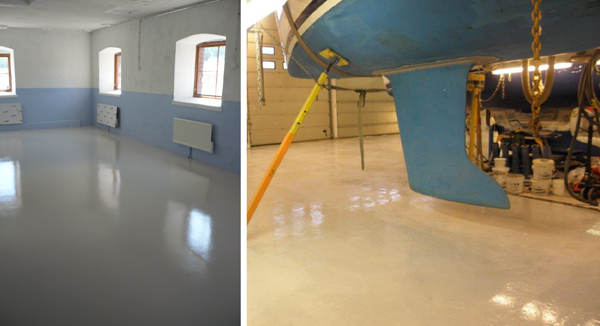 Floors we paint are for example basements, stairways, balconies, saunas, platforms, shops, warehouses, workspaceis, garages, etc. Our sandcoating for garages is also studded tire proof.